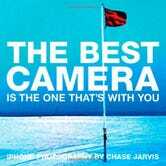 Chase Jarvis, a guy who's a good enough photographer that Nikon asked him to advance test the Nikon D90, just put out a photo-book called "The Best Camera Is The One That's With You". He only used an iPhone. With just the iPhone's 2-megapixel camera, Chase was able to capture—over the course of a year—some pretty interesting sights. Many of the photos aren't high resolution quality works that you'd expect from a pro, and a lot of them look like Polaroids you dug up from a shoebox in the attic, buried from the '70s, but they all serve a point. 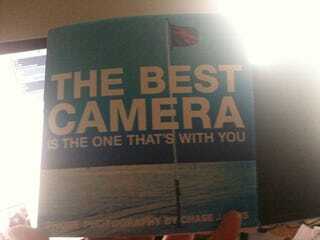 We all have cameras with us, so if you're looking to better your photography, even if it's just with the camera you have attached to your phone, Chase's book may give you some inspiration—if not on composition and style, then just on the fact that you can take decent enough photos with your phone.